How to become a Professional Knitter - Robin Hunter Designs: How cute is this? I just saw this in an ad for a local drugstore. 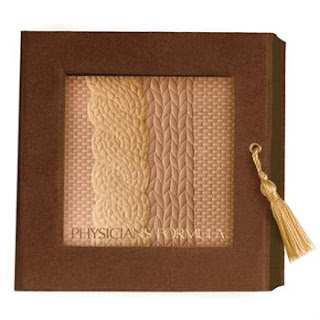 Blush and bronzer with pressed-effects that look like a knitted cable presented in a velvet-finished box with a gold tassel.